Designed to replace the OEM lens mount in Mitsubishi H model (HC, HD etc.) laser cutting systems which employ 1.5″ diameter lenses. The lens mounts can be used interchangeably for both 5.0″ and 7.5″ focal lengths. 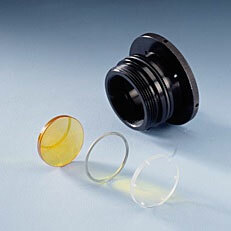 These lens mounts are designed to replace the OEM lens mount in Mitsubishi H model (HC, HD etc.) laser cutting systems which employ 1.5″ diameter lenses. The lens mounts can be used interchangeably for both 5.0″ and 7.5″ focal lengths.